Remember the Sony Ericsson Candela teaser shown by Esato board user Razec? Now the designer has finally revealed his vision, of the dual display concept phone Candela, that’s still under development. 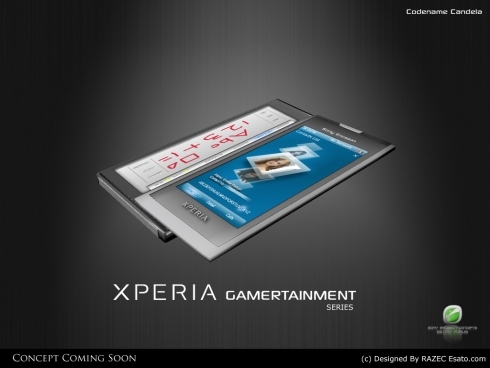 This is another XPERIA design, that’s part of the “Gametertainment Series”, a promising branding, if you ask me. Large touchscreen display? Checked! Virtual keyboard, able to display some QWERTY hotness or a touchpad area, for you to draw at will? Checked! A nice camera at the back? Checked! (I speculate, but it might be true). 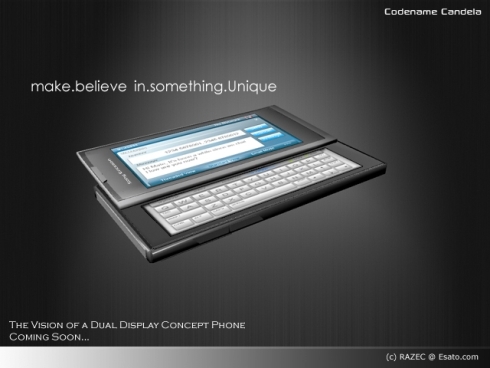 This dual display phone is a premiere, because it’s Razec’s first 3D modelled concept and we’re looking forward to see its finished version.